Director Stephen Biro and Jason Koch are co-directing along with Srdjan Spasojevic producing along side Unearthed Films, Contra Films and Dire Wit Films. 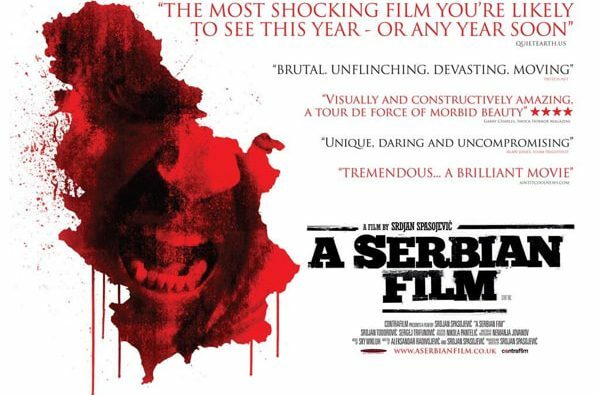 A Serbian Documentary will take an exclusive look at “SRPSKI FILM” aka A Serbian Film and the world wide reactions of one of the most talked about, controversial films of the last decade. A Serbian Film has been banned and censored and has even had legal charges brought against film festival promoters just for showing it. With over 60 hours of behind the scenes footage that has never been seen before. This full length feature film will give the fans, the ultimate exploration of one of the most talked about films in horror history. This in-depth documentary will have exclusive interviews with the actors, crew members, writers and of course, Sdjan Spasojevic, Director of A Serbian Film. Celebrity interviews of what they thought while watching this for the 1st time and how it would affect the cinema world. For more info, please contact Stephen Biro at Unearthed Films.